Tips for Increasing AC Energy Efficiency | Clean Air Act Inc.
Having a much-needed heating or cooling system installed is a wonderful feeling, but that’s only half the battle… If you want to reduce your energy costs every month, you’ll need to maintain the balance between comfort and efficiency. Luckily, we have a few tips to help you with that. When our home is hotter than we’d like, it’s tempting to get up and crank up the AC. Every time you do that, of course, you’re adding a little bit of extra demand for energy, and that will show up on your energy bill. Instead, use your thermostat to program a schedule that you’re going to stick to without adjusting. Energy.gov has an effective strategy for using your thermostat to your benefit, but it could take some getting used to. We like this tip because it’s something you can act on immediately, given that you have a smart thermostat. There are many types of smart and internet-enabled thermostats that can help increase efficiency, but a basic digital thermostat should at least be programmable. There are two efficiency strategies you can take when it comes to your duct system. One is to maintain them and have them cleaned regularly. The other is to lose them and go with a ductless AC system. Your system will only be as efficient as your ducts, meaning that leaks and disconnects in the ductwork will waste your energy over time. But if you do have an HVAC system with a duct system, it doesn’t necessarily mean the best decision is to abandon them in favor of a ductless system. Instead, you can simply get the ducts repaired, cleaned, and sealed by a professional HVAC contractor in Oregon City. Alternatively, you’ll also get great energy savings from a ductless HVAC system. 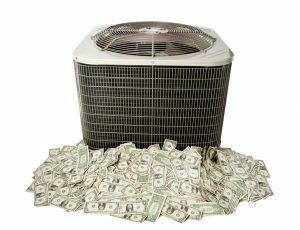 Ductless systems avoid the problems associated with ducts entirely, but they are more expensive upfront. Switching from a central AC to a ductless AC can have its benefits if done for the right reasons, but we highly recommend speaking with a professional instead of making that decision on your own. Regardless of what kind of system you have—and whether or not you have a smart thermostat—the best thing you can do for efficiency will always be getting regular maintenance. The more often you keep every part of the HVAC system in top condition, the less likely it will need repairs. Why is it so bad to need repairs? It essentially means that there’s been a problem in the system—whether you knew it or not—that has now gotten so bad that it’s forcing you to take action. During the time before that repair call, your HVAC system has been working harder to compensate for that issue. For example, a pinhole leak isn’t noticeable when it starts, but over time, it gradually becomes more difficult for the AC to remove warm air from your home. All the while, your system will be running less efficiently due to this. Twice-yearly or annual maintenance will go a long way in keeping your system efficient. Please, call Sydni, our Office Extraordinaire, to help you schedule your next appointment for all your HVAC needs! We’ll take care of you from there!